Q. How do I download Skype for Business? Berkeley College students and associates can download Microsoft Office to use Skype for Business. Start by logging into Office 365 and then clicking on 0365 Apps. 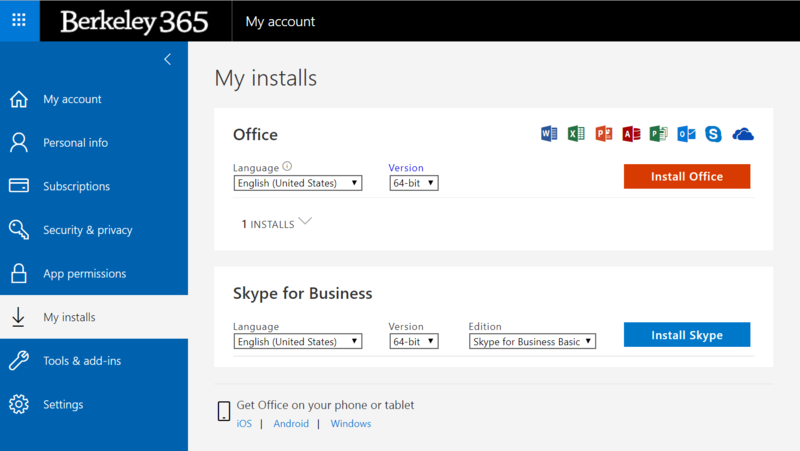 Associates can access and download Skype for Business from Office 365. Skype for Business assists in keeping in touch with instructors, other students and associates. It can be used as a live “place to meet” friends, chat, share ideas, contact former or present instructors, get help with an assignment or a class project. Skype meetings are recorded for future reference.